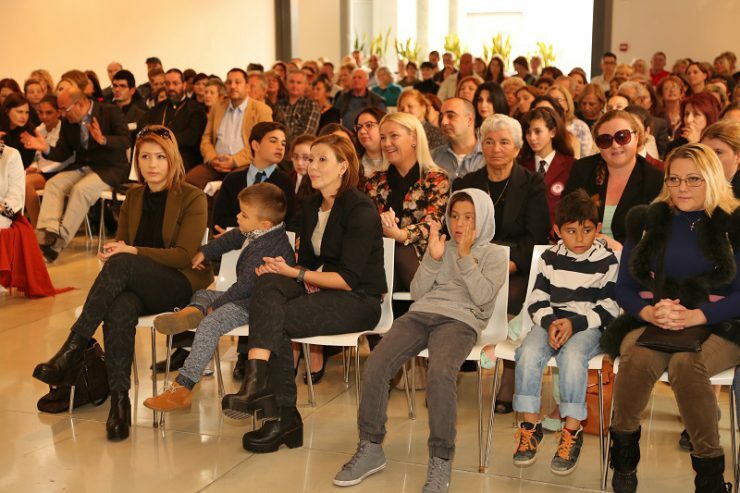 This year’s annual Hearts of Gold Award ceremony will be held at SEK in Paphos on Saturday December 1, 2018. Nominees and a guest will be invited to attend the ceremony and finger buffet lunch. Entertainment will include a spectacular performance by Romiosini dance ensemble, the children of the Paphos Learning Refuge and the International School Choir. Father Christmas will also be making an appearance with gifts for the children. All nominees will be given a certificate and a flower. The winner of the adult and junior Heart of Gold Award will receive a solid gold pin, hand crafted by Aphrodite Jewelers, a certificate and a bouquet of flowers. The adult winner will also receive a weekend stay and dinner at Almyra five star luxury Hotel . The Lifetime Achievement Award winner will receive a stunning hand crafted award created by renowned artist, Yiota Ioannidou, she will also make smaller versions for the other winners. The Jasmitha Award for Courage winner will receive a hand crafted award from Kivotos gallery, all winners will also receive certificates and flowers . All four winners will also receive special festive hampers full of delicious treats from Joulietta Chocolatier and patissier. A finger buffet lunch will be provided and there will be a chance to meet this year’s Patron, the judges and the winners! As space is limited, this is an invitation only event.